At K500+, we can take you from White belt to Black Belt and beyond. 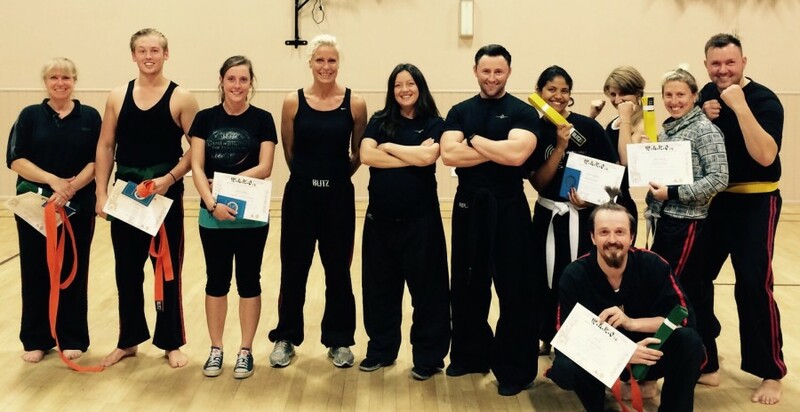 Our grading syllabus has been tried & tested over the past 15 years, had 3 updates and been featured by WAKO GB and Universal Martial Arts Training for their websites. Today, our grading syllabus follows the below structure. This is for both Adults and Children respectively. The Junior Syllabus (Childrens, Under 16) has a slightly different format for each belt. 1998 by Marc Edwards & Rick Rosser (then, in the Vale of Glamorgan, South Wales) and has been running successfully the past few years in Stratford upon Avon and surrounding areas. We’ve had people obtain their Black Belt, Compete and win championships and smash through their target weight and fitness goals. There are different time frames for each belt, ie how long each one must be held for before progressing. Gradings are usually twice per year, a summer grading and a winter grading. On occasion, Private Gradings can be arranged. If you have any questions regarding this gradings, please don’t hesitate to contact us.